Being a Board Member for the Association of Women in Finance is a rewarding opportunity for any woman in finance wishing to obtain Board experience. The Association's Board positions are dynamic in nature and require the ability to work on several projects simultaneously, including assisting other Board members when called upon. These positions require energy and a positive attitude, as well as a time commitment. And what do volunteer Board members get in return? Involvement in a high caliber organization, an opportunity to develop professionally by taking on projects outside one's normal scope of work, lifelong friendships and valuable business networks. This is also a chance to give back to your community! If you would like further information about the AWF, please contact us by by email. Please include your name, telephone number and e-mail address to enable us to connect with you. Louisa is a Senior Manager with EY and leads external audit engagements in providing assurance services of annual audits, quarterly financial statements reviews for large public and private clients in a variety of industries. She holds a Bachelor of Commerce in Finance from the University of British Columbia as well as CA and CPA (Illinois) designations. Louisa previously held the position of Events Co-Chair on the AWF board (2014-15 and 2015-16) as well as Events Chair (2016-17) and Vice President (2017-18). Parveen holds the highest distinction in the investment management profession — the Chartered Financial Analyst® (CFA) designation. As an Investment Advisor with Odium Brown in Langley, she uses a comprehensive process and works collaboratively with other professionals to insure her clients maximize the probability of achieving all of their financial priorities. In addition, she holds the CFP (Certified Financial Planner) designation and offers over 20 years of practical experience. She graduated with a Bachelor of Arts degree from the University of British Columbia. Parveen is active in the community and currently volunteers with Junior Achievement of BC and Chilliwack Minor Hockey. Outside of work, she is an avid news buff, and loves to travel. 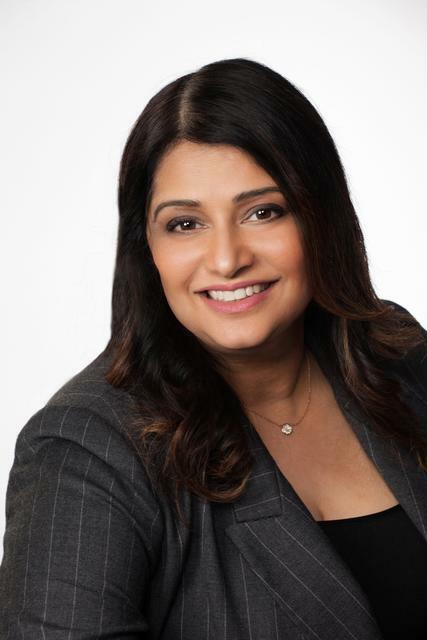 Previous to joining Odlum Brown, Parveen was an Investment Advisor with TD Wealth and provided holistic financial planning and investment advice to high net worth individuals and business owners. 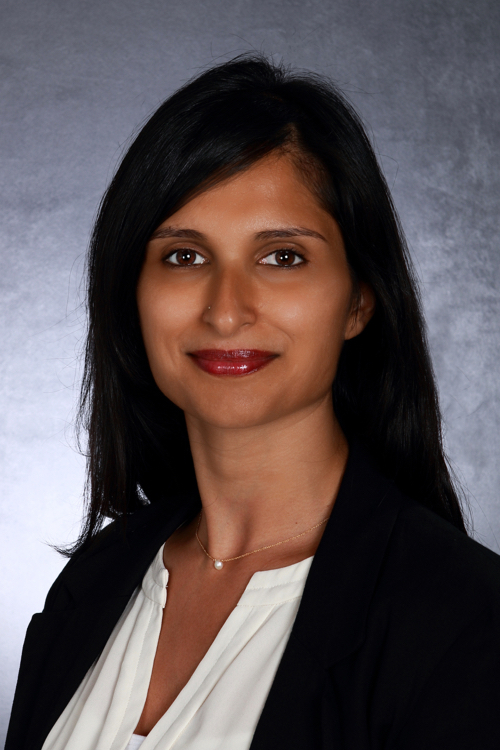 Parveen previously held the position of Fraser Valley Events Director on the AWF Board (2016-17 and 2017-18). Clare is a Senior Manager with KPMG and works in the Enterprise Audit department. Clare manages a portfolio of audit clients and delivers audit services to private companies across a range of industries from start-up technology companies through to large industrial manufacturing clients. Clare joined KPMG in 2000 and transferred from the UK to Canada in 2017. Clare is a Chartered Accountant and holds a First Class Honors degree in Accounting and Financial Management. Clare joined the AWF board in 2018. Catherine is an associate in the Tax Group at Boughton Law. She advises clients on both tax planning matters as well as tax disputes with Canada Revenue Agency. 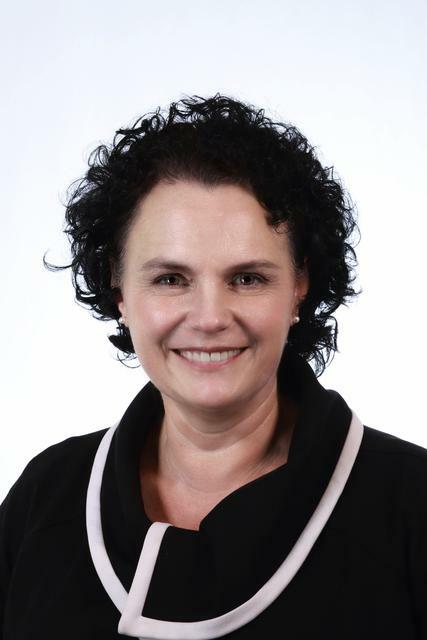 Catherine’s prior legal experience includes practising corporate/commercial and estates law and her practise includes implementing reorganizations and other tax-driven corporate transactions, advising individuals, including owner-operators of small and medium-sized enterprises, on business succession, estate, and tax planning considerations such as estate freezes and trusts. She also advises not-for-profit organizations on applications to become registered charities under the Income Tax Act. Catherine completed both her Bachelor of Arts (2007) and Juris Doctor (2012) at the University of British Columbia. She joined Boughton Law as a summer articled student in 2011 and was called to the bar in British Columbia in 2013. Catherine has held this position on the AWF Board since 2017. Floria is the Director, Financial Reporting & Administration at Port of Vancouver where she is leads the accounting, procurement, records management and administration functions for the largest port in Canada. Before joining the Port, Floria has held finance roles in the wealth management sector and the oil and gas sector in Toronto and Calgary. Floria holds a Masters of Business Administration (MBA) from Queen’s University and a Bachelor of Business Administration (BBA) from the University of Toronto. Previously, Floria has held both the PEAK Chair and PEAK Vice Chair Director positions (2016-17 and 2015-16) and has been on the Nominating Committee for the annual PEAK awards. Elena is a Senior Financing Specialist at RBC where she supports Commercial Account Managers working with indigenous, public sector, not-for-profit, manufacturing, and retail organizations in British Columbia. Acting as an advisor Elena provides expertise in on all aspects of financial analysis, credit structuring, risk identification and mitigation to large commercial clients. 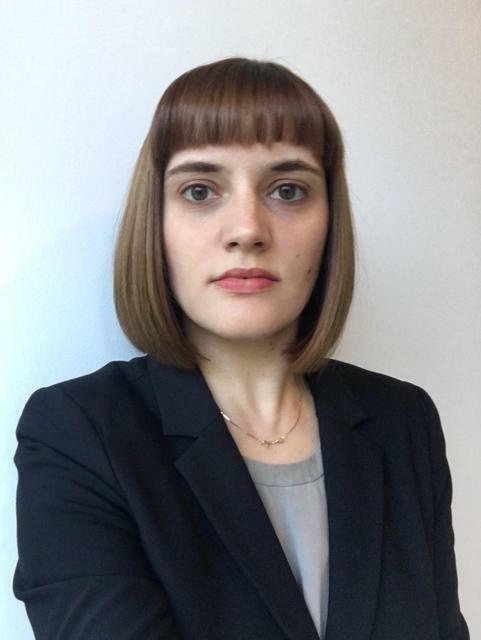 Throughout her more than 10-year career in finance, Elena has established an accomplishments-driven progression working at the Big Five Canadian banks and holding a number of finance positions at a real estate developer company in St. Petersburg, Russia. 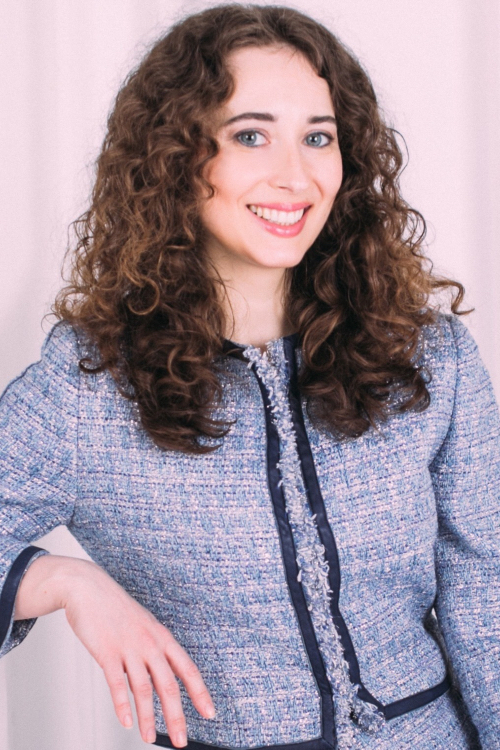 Elena holds MBA from the University of British Columbia as well as Master of Arts from the St. Petersburg State University of Economics and Finance. Previously, Elena held positions on the AWF PEAK Nominations and Strategic Initiatives - Women on Boards Committees (2016-18). Bina currently manages a successful team of commercial and corporate relationship managers and analysts in her role as Assistant Vice President & Team Lead, Commercial Banking at HSBC. She has over 13 years’ experience in commercial finance, as well as several years’ of not-for-profit board experience. Bina holds an Americas EMBA and Bachelor of Arts from Simon Fraser University. This is her first year on the AWF Board. Kat is a Manager at Ernst & Young where she provides valuation services to public and private corporate, and individual clients for financial reporting, tax, deal and litigation purposes. Kat has over 7 years of professional experience spanning audit, corporate tax and business valuation in a variety of industries including technology, manufacturing, retail, public services, metals and mining, and oil and gas. Kat obtained her Bachelor of Commerce degree in Accounting from the University of Calgary. This is Kat’s second term as Director of Strategic Communications. Previously, Kat held a position on the Communications and Marketing Committee (2016-17). Elly is an associate in the Financial Services Group at Borden Ladner Gervais LLP. Elly focuses her practice on debt financing, commercial lending and bankruptcy & insolvency. Elly has been involved in large corporate finance transactions, including multi-jurisdictional lending transactions and syndicated loan transactions, as well as small- and medium- market lending transactions, with particular focus on asset-based lending, real estate financing and film financing. She has also been involved in various insolvency-related matters, including restructurings, bankruptcies and receiverships under the Companies’ Creditors Arrangement Act and the Bankruptcy and Insolvency Act. Previously, Elly held the position of PEAK Marketing & Communications Director (2016-17) and PEAK Chair (2017-18). Vivian is a Vice President in RBC Royal Bank’s National Client Group. Vivian covers a diverse portfolio of clients in the forest products, retail, industrial, utilities, services and public sectors. 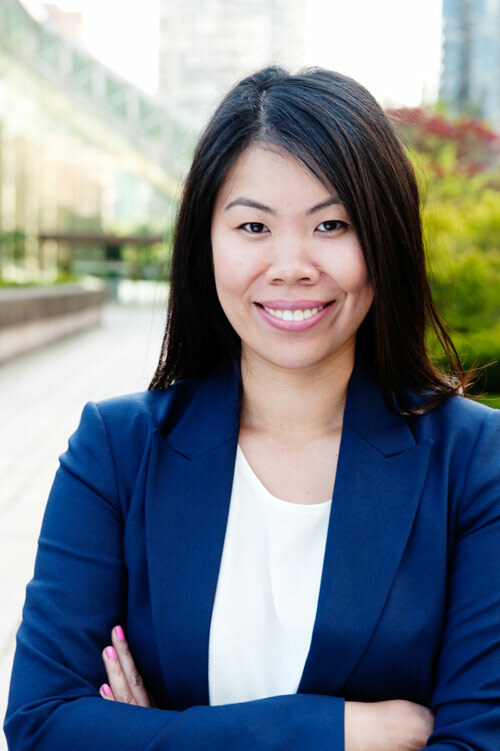 Vivian joined RBC in 2015, working in downtown Vancouver with the commercial banking division before joining the National Client Group in 2018. Prior to joining RBC, Vivian worked at various financial institutions domestically and internationally in Singapore. Over the course of her career, Vivian has worked with various industry segments, actively providing solutions and sound financial advice. In keeping abreast with her profession, she is active in the Vancouver downtown market place as part of the RMA Women’s Committee. Previously, Vivian held the position of PEAK Vice-Chair (2017-18). Sheena is a Director with Scotiabank’s National Accounts - Commercial Banking team in Vancouver. Sheena provides financing and banking solutions for large private, small public, and institutional clients including structuring complex credit arrangements to manage cash flow and growth, participating in or leading syndicated loan facilities, implementing cash management solutions, and setting up products to manage risks such as commodity price or currency fluctuations. Sheena has a BComm from the Sauder School of Business (UBC) and an MBA from the Schulich School of Business (York University). Outside of work and AWF, Sheena enjoys hiking, skiing, and travel. Previously, Sheena held a position on the Major Events Committee (2016-17) and was the Director of PEAK Marketing in 2017-18. 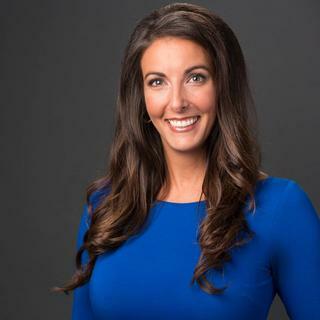 A results driven communications and real estate investment professional, Jennifer brings influential leadership skills with excitement and diversity. With nearly two decades of integrated communications and management experience combined, Jennifer’s values and strengths have proven to bring success to a range of companies, from large corporations such as Canadian Pacific Railway, VANOC, Ford, and UPS, to non-profit organizations, such as Breakfast Club of Canada and Feeding America, to boutique and smaller start-up companies, showing her adaptability. With sound leadership and management education and experience, Jennifer has delivered annual revenues of up to $120M, managed $10M budgets, and has spearheaded change management initiatives, with a focus on Lean theories. Jennifer’s passion to support women led her to founding non-profit networking groups and events such as Women on Track and Fashion for your Future while providing volunteer support for organizations such as the YWCA. When it comes to playtime, Jennifer enjoys being an internationally certified sailing captain to feed her love of adventure and travel. 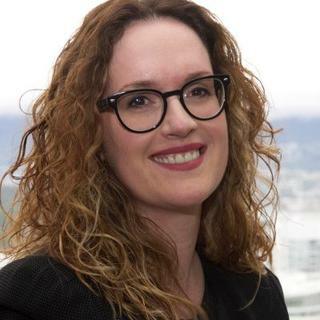 Dayna is a Partner in PwC Canada’s Financial Services Assurance practice working in the Vancouver office. 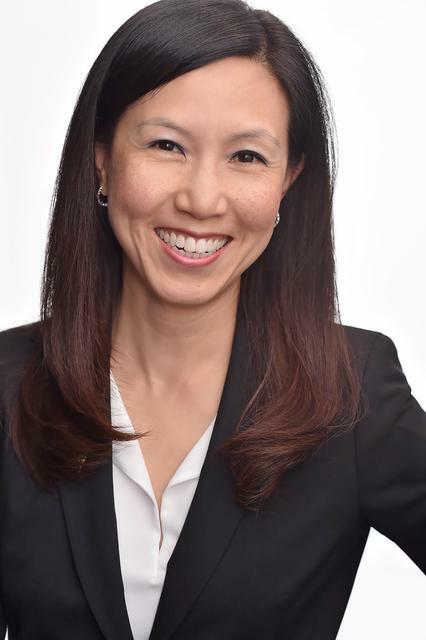 Since joining the firm in 2001, she has developed extensive practical experience and professional knowledge working in the asset management, pension and benefit, and insurance industries. 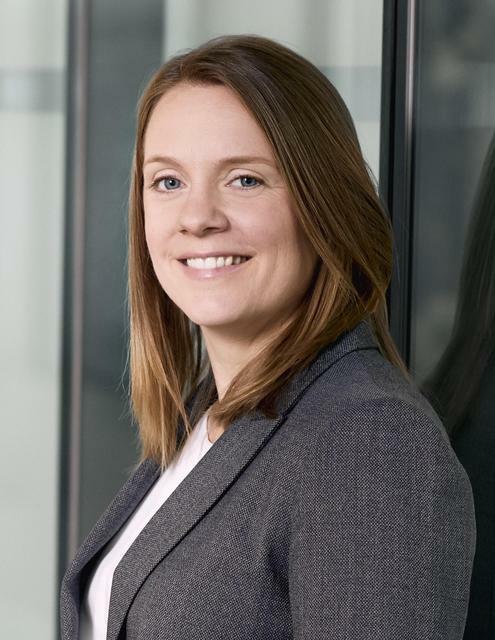 Throughout her professional career working with PwC in Canada and the Cayman islands, Dayna is focused on providing assurance solutions over financial reporting and reports on controls at service organizations of asset managers and investment funds, pension and benefit plans, and insurance entities. This is Dayna's second year on the AWF Board. She previously held the same position (2017-18). 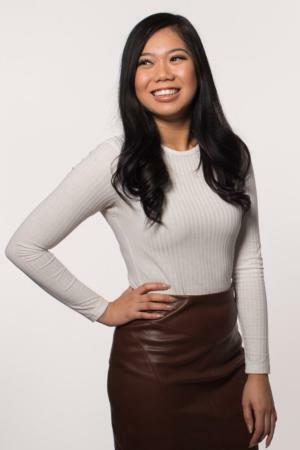 Vanessa Luu grew up in Victoria, BC and moved to Vancouver in 2015 where she pursued Marketing with a minor in Entrepreneurship at BCIT. Always interested in the motivations behind people’s decisions, she became passionate about executing big vision and purpose driven projects. Vanessa began working at Genesa CPA Corp in January 2017. She was empowered to find creative solutions to bridge communication gaps in an industry that was not always the most suitable. She had discovered that the marketing solutions were hidden in relationship building and bringing people together to be empowered with their vision, common interests and curiosities. Today she is the Marketing and Events Director at Genesa CPA Corp as well as the Founder and Director for Connecting Curious Minds, a new and exciting conference series which was founded on the premise of unconventional business development for Genesa CPA Corp. The conference brings together a wide array of empowered entrepreneurs and creative thinkers to develop their personal and professional spirit. Kristine is a Senior Policy Analyst with the Business Council of British Columbia, where she is responsible for providing sound economic and public policy expertise to senior public administrators and elected officials, business executives and community stakeholders on matters that may impact business operations and the provincial economy. She helps to shape major policy outcomes across federal, provincial and municipal governments to poise B.C. as a top global destination to live, work and invest. Kristine has lived, worked and studied across the Prairies, Eastern Canada, the Maritimes and Canada’s North over the last decade. She holds her Master’s of Public Administration from the University of Saskatchewan and is happy to finally be back in her home province of British Columbia. In her spare time, you will find her eating pasta with her Italian husband and hiking in the North Shore mountains with her two huskies to work off all that pasta. This is Kristine's first year on the AWF Board. 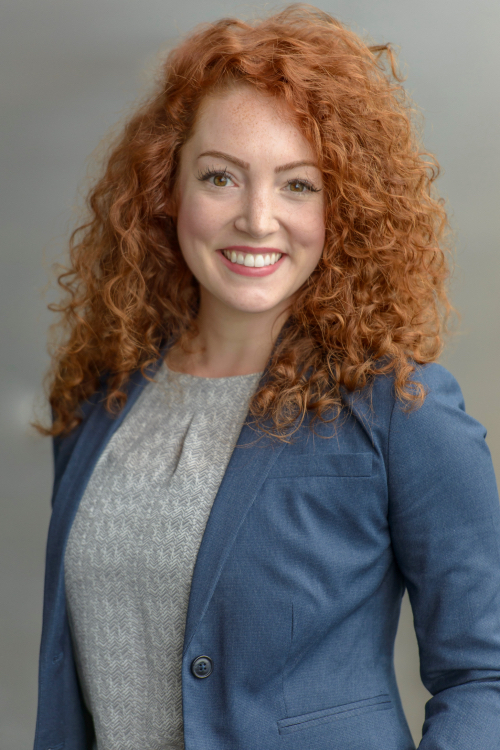 Emily is Vice President, Business Banking at Bank of Montreal where she leads a team of relationship managers serving the small business segment across the Greater Vancouver market. 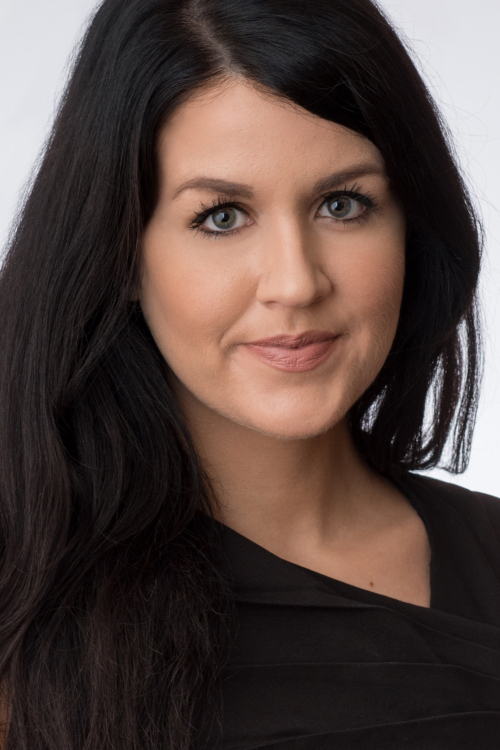 Emily is known for consistently delivering an exceptional client experience and business results through a team of highly motivated sales professionals. Prior to joining BMO, Emily held client facing and leadership roles with RBC Commercial Financial Services. Her experience spans pharmaceuticals, consumer packaged goods, and financial services. Emily holds a Master of Business Administration (MBA) from Queen’s University and a Bachelor of Business Administration (BBA) from Simon Fraser University). Emily is known as a change leader and advocate for diversity and inclusion. Outside of work, Emily enjoys golf, running, and music. Emily has held the position of Director, Major Events with the AWF Board since 2016. 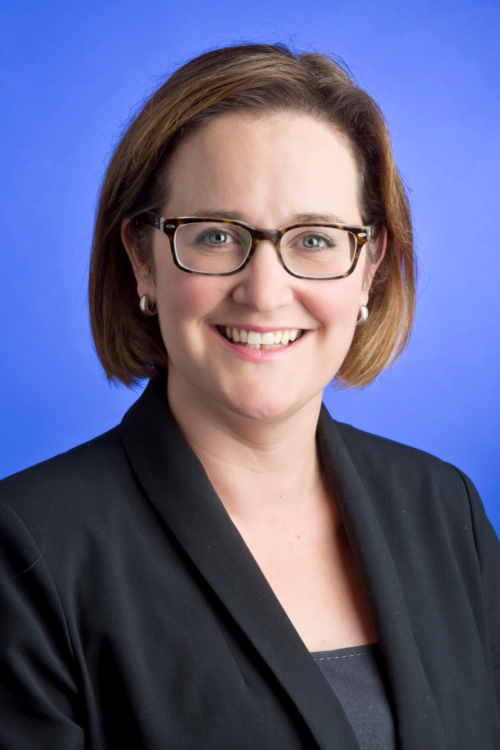 Terri Dickson is Vice-President, Portfolio Manager & Wealth Advisor with RBC Dominion Securities. For 20 years, Terri was the manager and co-owner of a successful dental clinic. Making positive change happen is something that Terri is passionate about. A five-time Paul Harris recipient with Rotary, she currently sits as a board member with Biathlon Canada where she chairs the Finance and Audit Committee. She has 25 years-experience as a board member at the local, provincial and national level for a wide variety of non-profits and charities. Her team at Dickson Wealth Management works with many non and social profit enterprises. Terri has three daughters, a brand-new granddaughter and a husband who allow her to frequently indulge her travel habit and often accompany her on her explorations around the world. Terri and her team strive to ensure everyone they work with is financially secure, by providing comprehensive wealth management and discretionary portfolio management, as well as access to tax, estate and risk management planning for both personal and business needs. This is Terri's second year on the AWF Board. She previously held the same position (2017-18). 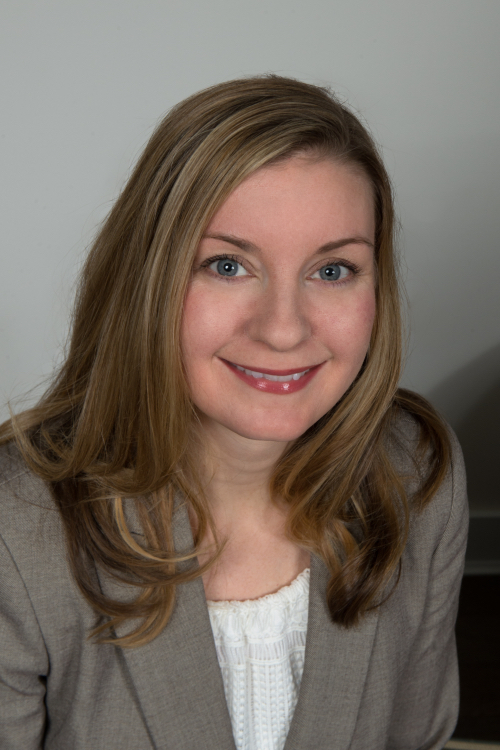 Tania Vig is member of Lindsay Kenney’s corporate commercial group in the Langley office. Tania focuses her practice on corporate commercial, real estate, secured lending, and banking law. Her experience includes assisting clients with incorporation, purchase and sale transactions, and drafting corporate documents such as shareholders agreements. She has also advised clients on commercial contracts and real estate transactions. 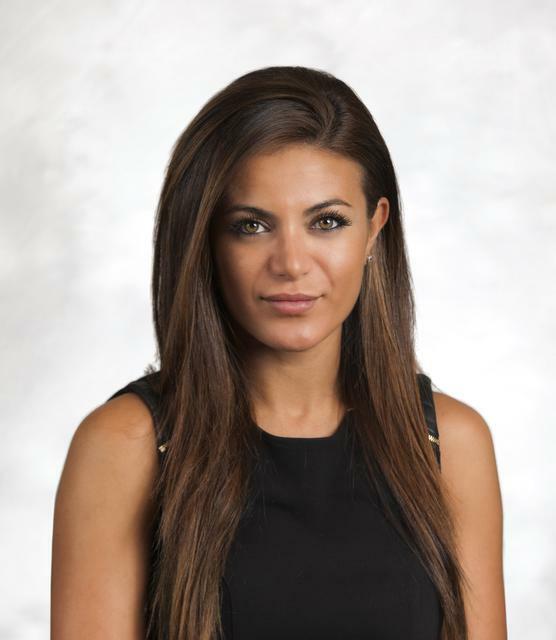 Prior to joining LK Law, Tania worked in commercial lending at one of ‘big five’ banks in downtown Vancouver. She graduated with a Bachelor of Management from the University of British Columbia in 2010 and obtained a Juris Doctor from Thompson Rivers University in 2015. Tania both summered and completed articles with Lindsay Kenney. Outside of work, Tania enjoys yoga, film, live music, and spending time outdoors. This is Tania's first year on the AWF Board. Karen Sawatsky is a Partner in the assurance practice at PwC LLP where she delivers commercial focused services to a wide range of businesses and organizations. Her experience includes public and private companies, as well as public sector and not-for-profit organizations. Her specific industry experience includes manufacturing, wholesale/retail, construction, insurance, financial services, healthcare, food production, municipalities, media, and transportation/logistics. In addition to delivering high quality and efficient assurance services, Karen also advises on technical accounting issues under IFRS, ASPE, PSAS and ASPNO. She has extensive experience advising clients undergoing complex transactions as well as providing insight on a wide variety of taxation, internal controls, governance and process improvement issues. Karen is also actively involved in practice leadership where she has led business transformation initiatives focusing on quality and efficiency optimization. She has also led teams focused on student recruiting, staff performance and development, and Women In Leadership initiatives. This is Karen's second year on the AWF Board. She previously held the same position (2017-18). 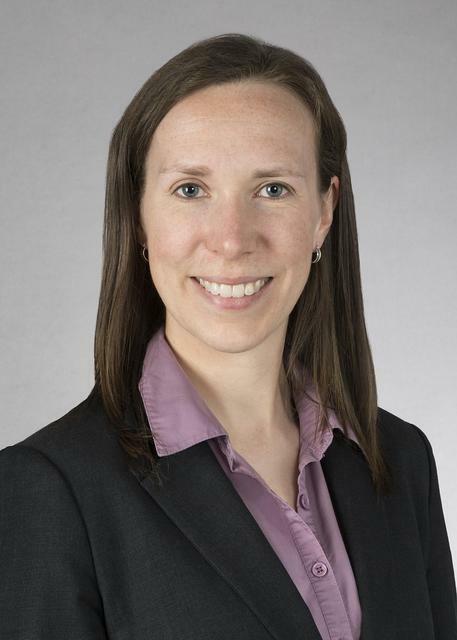 Jennifer McCracken is a Senior Manager in the Financial Restructuring group of BDO Canada. 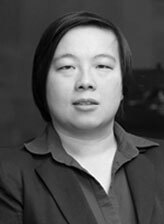 She is a Licensed Insolvency Trustee with experience in corporate and consumer restructuring engagements, including court appointed receiverships, bankruptcies and proposals to creditors. Jennifer is a graduate from the Faculty of Arts at the University of British Columbia and obtained her designation as a Chartered Insolvency Restructuring Professional in 2009. Jennifer actively volunteers for the Canadian Association of Insolvency and Restructuring Professionals and is a regular presenter on insolvency and restructuring matters. This is Jennifer's second year on the AWF Board. She previously held the same position (2017-18).